Many types of OEM equipment, including medical, analytical, semiconductor, aerospace and laboratory test equipment, require a leak-proof penetration into a vacuum or pressure chamber. The device that accommodates this penetration is referred to as a feedthrough (sometimes spelled "feedthru"). For the most part feedthroughs allow electrical currents or voltages into the vacuum or pressurized area. 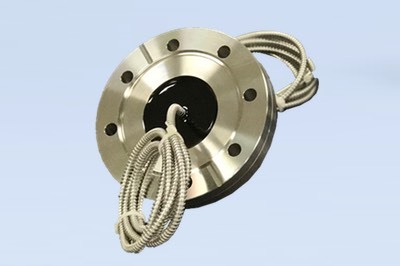 There are also many other non-electrical requirements for pressure/vacuum vessel penetration. 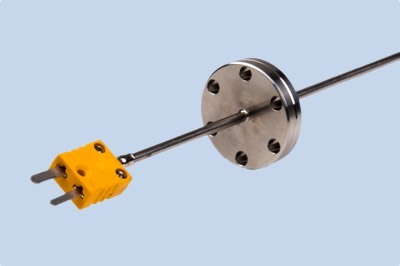 Some examples of non-electrical penetrations are fiber-optic, fluid tubing bundles, and process control sensors such as thermocouples. 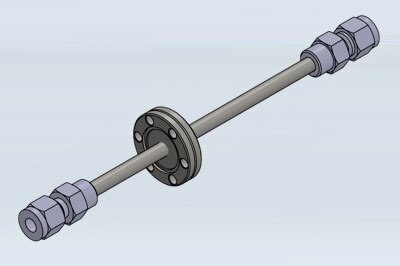 Multi-pin feedthroughs have circular flanged or threaded connectors for moderate pin density. They are typically offered with differing numbers of pins (often, 3, 5 or 7) and rated to 3.5 amps and 500 volts per pin. 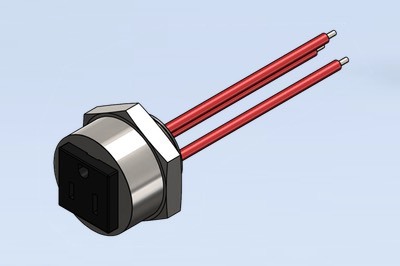 There are both single-ended and double-ended versions which offer a connector for the air side or both air and vacuum side connectors respectively. High power electrical feedthroughs transmit high current and/or high voltage into a vacuum system. Variations of power electrical feedthroughs offer a range of current and voltage. Fiber Optic Feedthroughs provide the interface between fiber optics and UHV technology. 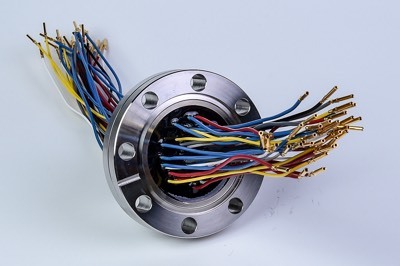 They allow fiber optic cables are designed for vacuum applications requiring fiber optic connections from inside a vacuum system to external equipment. Also referred to as fluid feedthroughs, they are designed for the transmission of gases or coolants into high and ultrahigh vacuum environments. Generally constructed from 300 series stainless steel, they are available in single or multi-tube configurations.